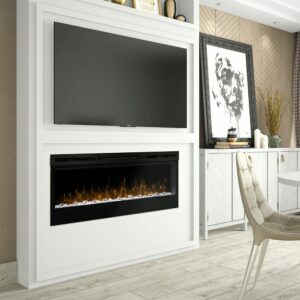 The Dimplex Wickson 34-inch Linear Electric Fireplace is the perfect size for use in virtually any room in your home, whether it be the family room, bedroom or office. 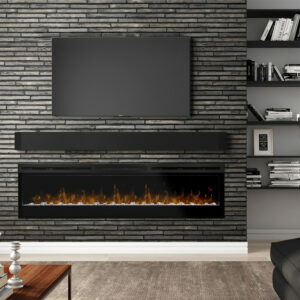 Add instant ambiance with this stunning black front fireplace featuring a contemporary glass ember bed. You’ll be amazed at how realistic the Dimplex patented flame technology looks as it raises from and reflects off the glass embers. It’s an effect that you’ll fall in love with over and over again. You’ll stay toasty warm, no matter what the temperature outside. This unit can be installed in three different ways, depending on your needs and desired look; on wall, partial recessed, fully recessed. 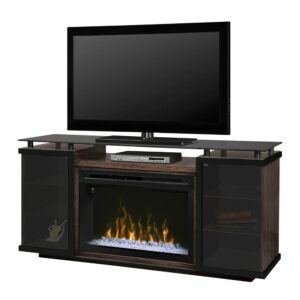 But not matter how you decide to install the Wickson in your home, it will undoubtedly become the focal point of your room. 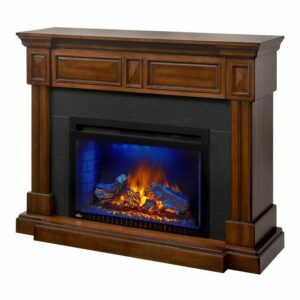 The Braxton electric fireplace from Napoleon boasts a pedestal base, hardwood decorative side columns, black granite styled surround, a burnished walnut finish, and comes included with the Cinema 29-inch electric firebox. 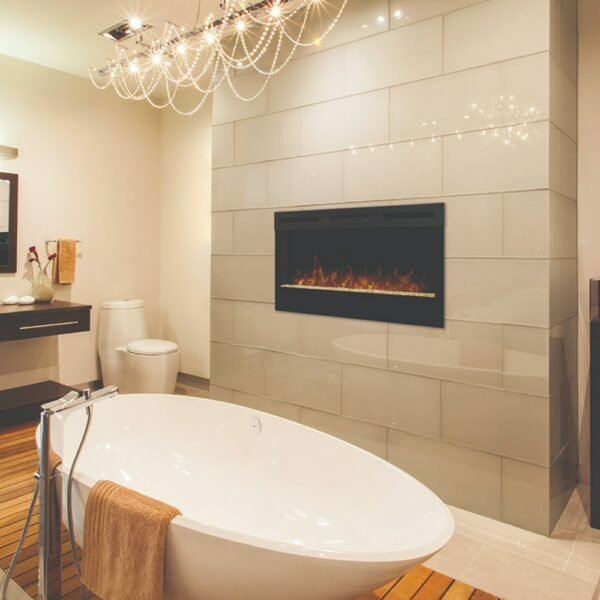 A perfect fit into any decor, this electric fireplace is the ideal solution to quick heating for homes that may not have access to a gas line or wood burning fireplace.